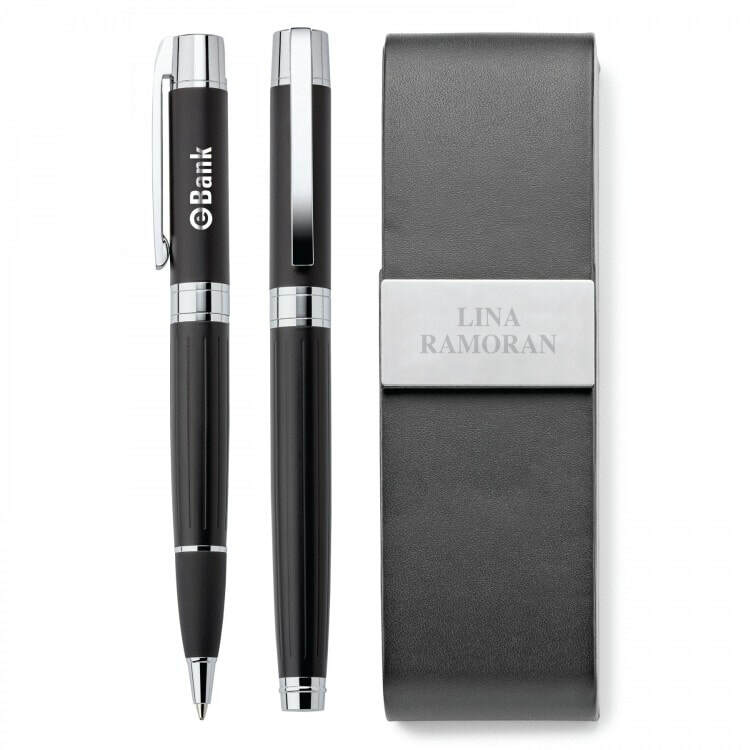 If you're looking for high end metal customized executive pen and pencil sets engraved with logos or even in some cases, your client's actual name, you're in luck. 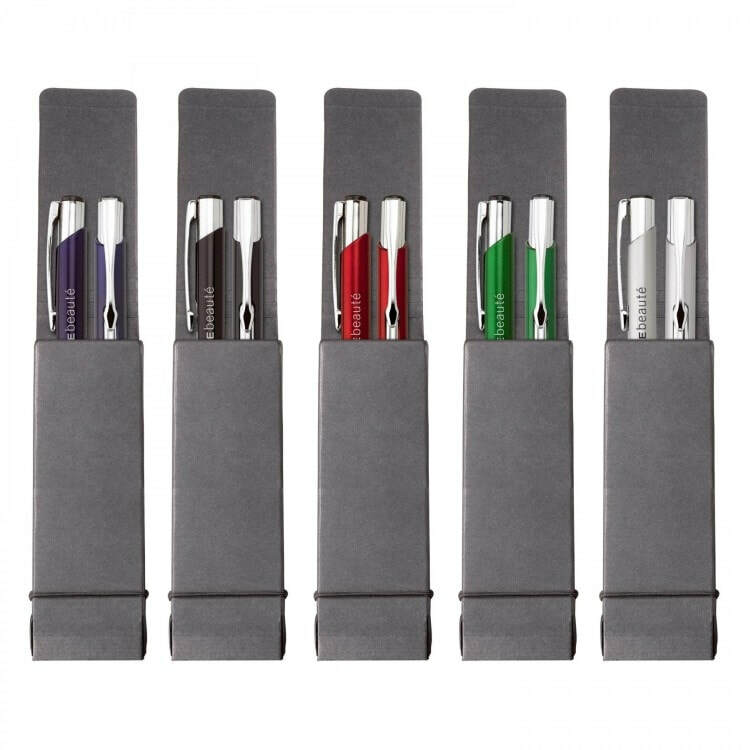 Custom high end pen sets remain a top seller because of the impression they make as a classy gift during any time of year. 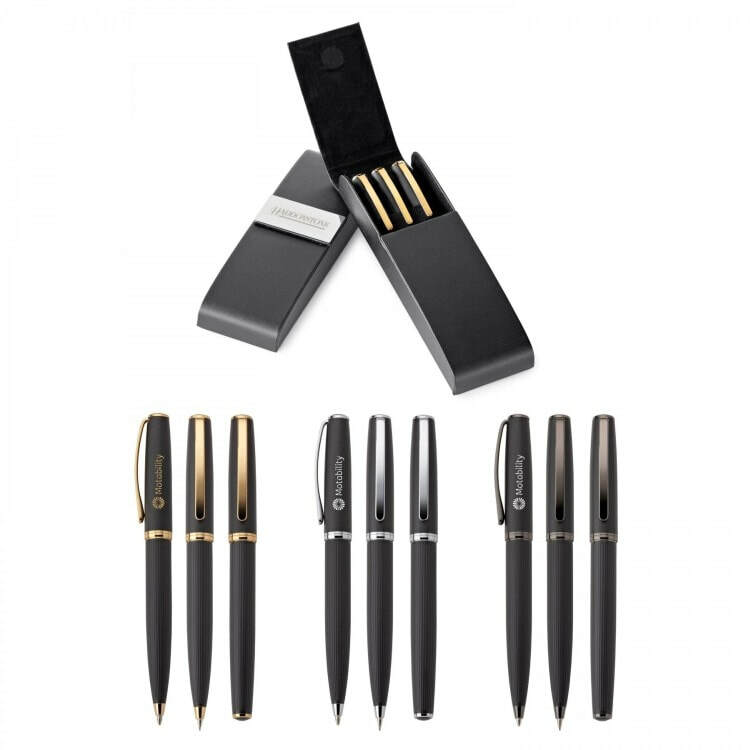 Our custom executive pen set clients over the years have included military contractors, the US military itself, law firms, doctors/hospital administrators, private high schools and universities looking to commemorate graduations or the tenure of certain staff members, and businesses looking to acknowledge a certain employee's years of service. 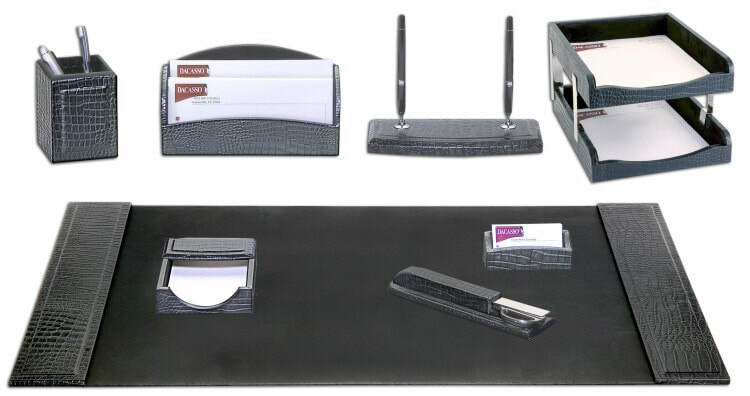 We provide imprinted metal pen sets made of every material imaginable- sleek carbon fiber, space age metals produced using advanced technologies, all the way to the traditional rosewood pen-in-box. 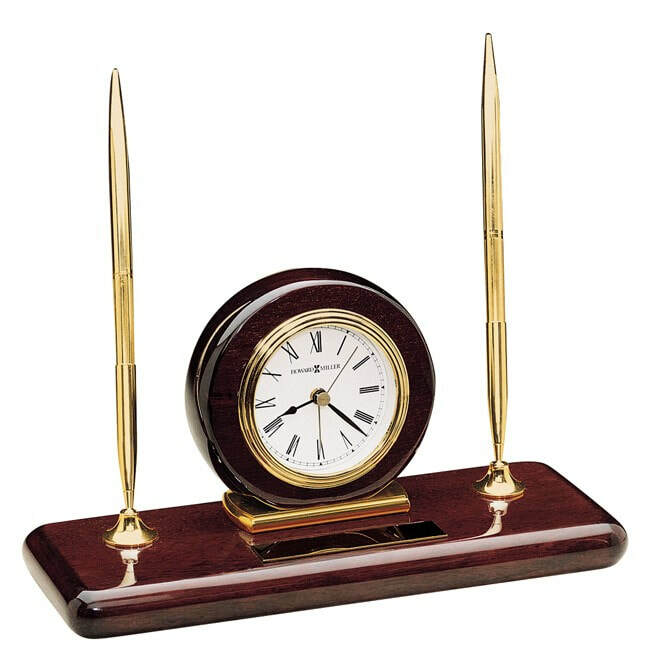 Sometimes traditional is the way to go, because people keep fountain pens and wooden pens for generations. 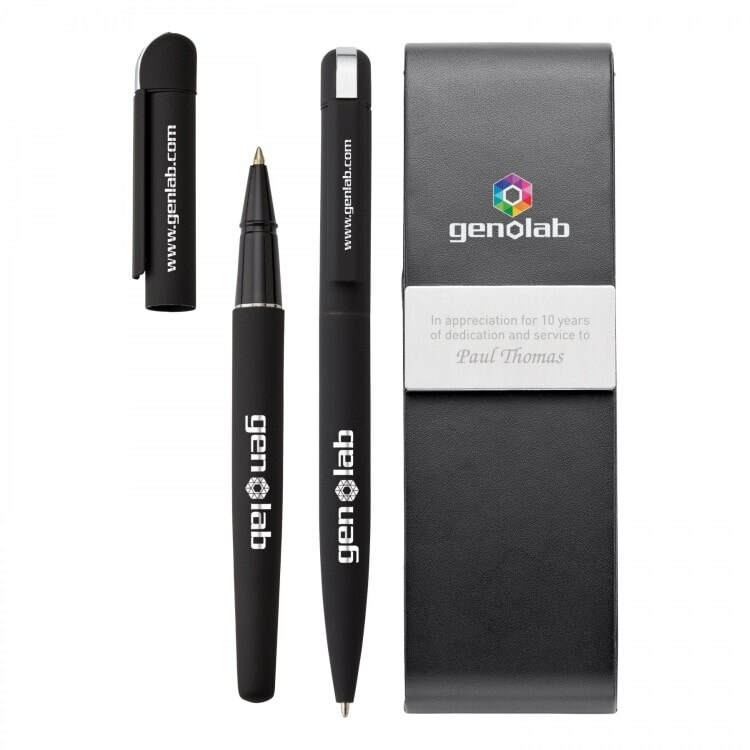 Our packaging ability for our customized executive pen and pencil sets is almost as vast as our material choices, with the ability to, in some cases, engrave each individual box with a name. 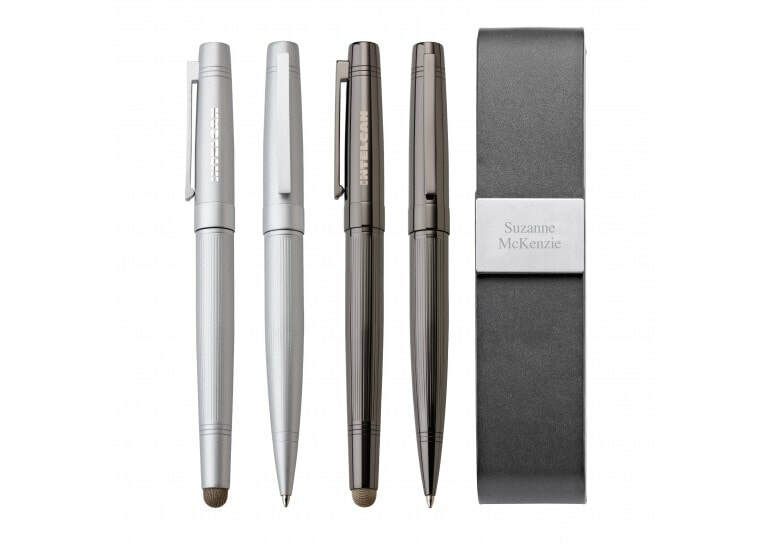 Check out our current list of favorite writing instrument sets below. 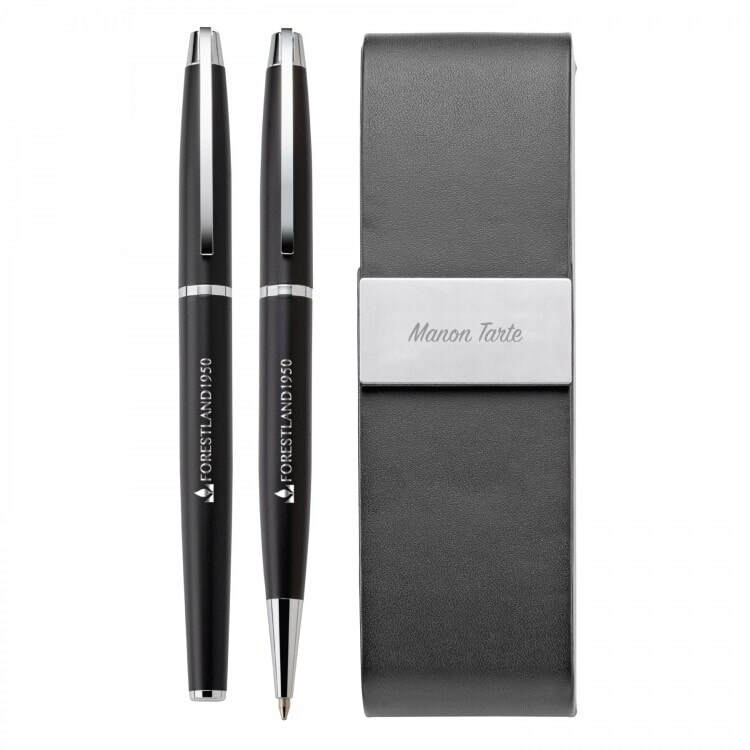 Duncan engraved ballpoint and rollerball set- When one Duncan is just insufficient, these ballpoint and rollerball sets, bundled in a rich dark vinyl case, are the ideal special arrangement. 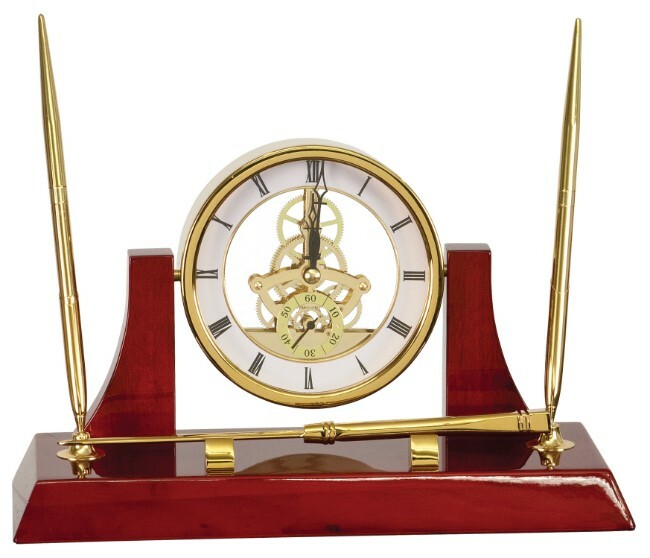 However you want to compose your next written piece, you'll have a Duncan within reach with a trusted NeatScriptTM refill. 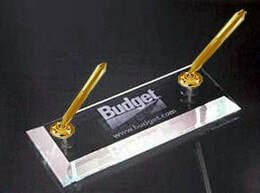 Give this blessing a dash of further customization by embellishing the case.